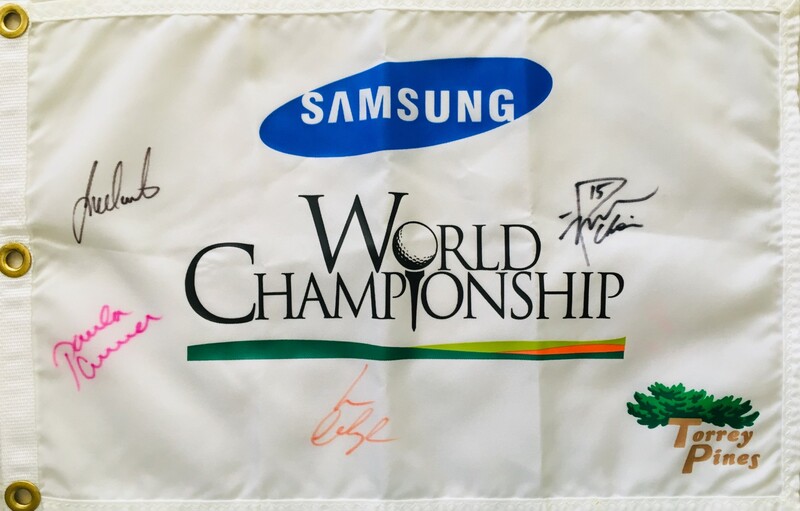 LPGA Samsung World Championship golf pin flag autographed in various color markers by 4 champions of this now defunct tournament: Na Yeon Choi, Paula Creamer, Juli Inkster and Paula Creamer. 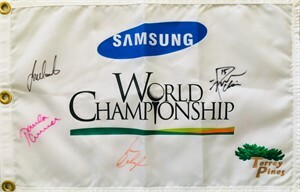 Obtained in person at various LPGA tournaments, with certificate of authenticity from AutographsForSale.com. ONLY ONE AVAILABLE FOR SALE.